Earlier this week, LTV released the audition clips for the 33 shortlisted entries for ‘Supernova’, the Latvian preselection process. There is a short window for the public to have their say on those songs before the final line-up for the semi-finals is determined. 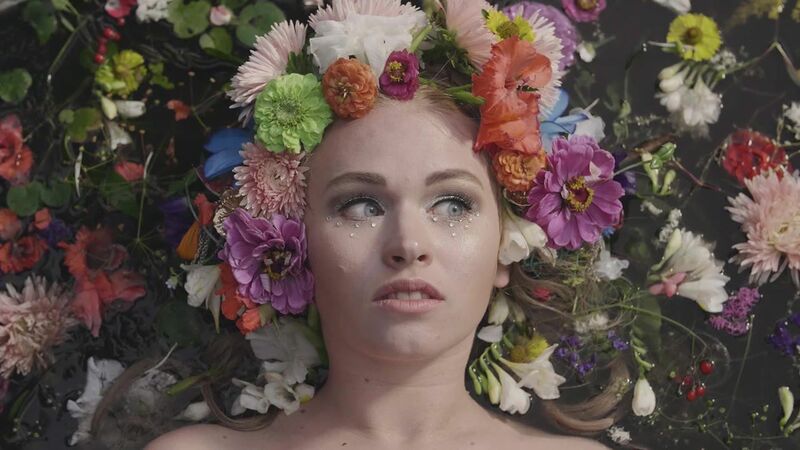 One of those entries, is ‘Grow’ by Waterflower, and we were thrilled to be able to meet with Waterflower in the middle of her current UK tour to find out a little more about her song and her style. Citing Bjork as one of her key influences, Waterflower describes her style as audiovisual performance art and avant-garde experimental pop. She is a keen fan of Eurovision, but hopes to be able to bring something a little bit different to the stage. Using staging consisting of her accompaniment of ‘plant-synthesisers’, and stunning visual backdrops featuring her own artwork, which is heavily influenced by nature and reflecting Riga’s famous art-nouveau style, Waterflower aims to bring a captivatingly vibrant and unique blend of audio and visual entertainment. The clips released so far of the Supernova shortlist are only a teaser of what might be to come, and from what we saw at her performance at Birmingham’s Centrala, we are in for a real treat if she were to progress to the final stages of the process. You can listen to our chat below, in which we talk about her work to date, plans for her forthcoming album, and she describes the song and her staging concepts in her own words. Whilst early voting hasn’t broken any records, there is a real sense that ‘Grow’ could well be a grower and could even end up as the one to watch in this year’s competition. If you like the song, or are keen to see how it might develop on the live stage, there is still time to vote! You can find out how to register to vote with your social media logins via this link and then go to “Peoples Jury” at the top of the page.